Snehadaan Ministry Community is composed of Snehadaan ministry centre for people living with HIV/AIDS and for Palliative Care, Sneha Care Home and Shining Star School for Children living with HIV, and the Residence of Pronvincialate with Camillian Pastoral Health Centre. SNEHADAAN completes 19 year of healing mission in the church this year. Ever since the beginning of Snehadaan in 1997 it has been evolving and adapting according to the demands of the time in the health scenario of Bangalore in particular and Karnataka in general. It was started as destitute home, later shifted its focus exclusively to HIV care for a decade and now the time has come to wide open its doors to various other needy sick of the society. 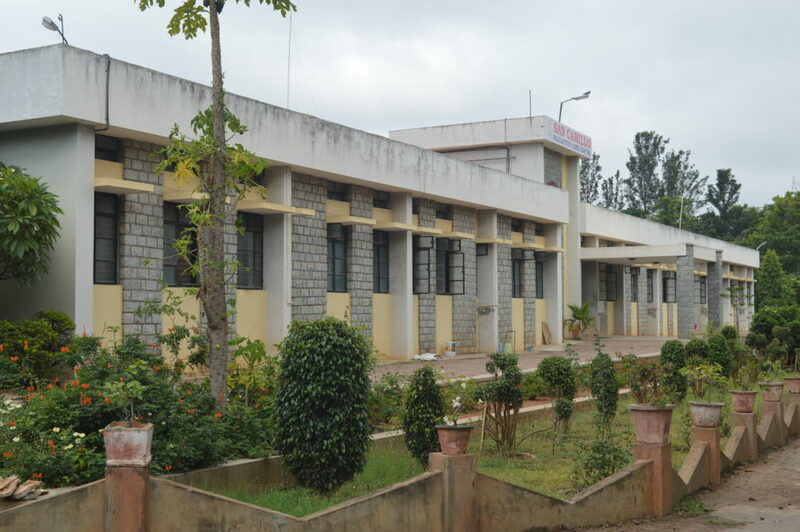 Over the years Snehadaan has seen various levels of ups and downs in its growth and development, but always overcoming with the help of the Providence, efficient servant leadership and with the blessings of the innumerable inmates either dead or recovered here. Snehadaan is ever grateful to its inmates, committed staff and collaborators. As we consider change is the yardstick of growth, Snehadaan is also changing to spread its wings to accommodate various types of sick brethren, keeping its core values held high as a guiding principle under the footsteps of St Camillus. From its experience in working with HIV infected adults and children, Snehadaan has developed a Holistic approach to any sort of delivery of care and treatment. It realizes that the most effective way of care and support is that of an integrated approach. This means that it emphasises on personalised quality care, counselling support, rehabilitative services, exposure for visitors, networking, home visit and coordinating with likeminded institutions. •	Physical Care including Medical, Symptom Management and Nursing Services. •	Family Education & Family counselling / Professional Grief counselling and Support. •	Personal care such as the bathing and assistance with daily activities by personal care specialists. •	Placement Assistance to the resident and family. •	Spiritual and Emotional support for its residents and families; helping them to cope with their issues and concerns. Snehadaan focus on the totality of the person. All our activities and programs are directed towards the total well being of the residents. We consider each one as a unique person and treat everyone with the dignity that is due to a human person. We believe in the comprehensive approach to help people regain their health and dignity even after they are infected with HIV. The components of this model as we carry out at Snehadaan are as follows. Nursing team is coordinated by a nurse coordinator who is providing 24hours service to the patients. We have five nursing staff, who are also supported by Health care workers and Personal care manager for the total care of Patients. Nursing team promptly administers the treatment plan to each patient according to their unique individual needs. Two counsellors are constantly monitoring and addressing various psychological and emotional issues of the inmates. They also work with families of the inmates to make sure that they are placed back home after recovery. Telephone counselling is also one of the tools we use to support inmates who were once discharged. The existing physiotherapy unit is upgraded with the support of Xerox Company which helps inmates to enhance the quality of care they receive. One part time physiotherapist’s service is availed to address muscular pain, rehabilitative care, and physical disability. Exercise therapy helps in improving general fitness, strengthening exercise helps in regaining the muscle power and endurance. Snehadaan is a faith-based organization and we integrate spiritual care along with other needs of our Patients. We believe that through the support of spiritual resources from their unique faith traditions they can address many existential issues like meaning of life and death and the question of suffering. Even though our patients belong to various faith traditions or no traditions at all, they all seem to tap the spiritual atmosphere that is present at the centre for their benefit. Regular group prayer sessions are animated by brothers or volunteers to facilitate their life journey more peaceful and meaningful. One of the goals of Snehadaan is to enable the patients to get better to live a normal life outside irrespective of their health conditions. During their stay with us we encourage them to explore possible ways to get back to normal life. If they need to change jobs due to their compromised health, we facilitate them to look for alternate options. We also provide ongoing support and counselling those who have been rehabilitated after their treatment here. Volunteers and visitors on Exposure: Snehadaan always receives visits from various organizations, public and private, local and foreign volunteers to learn the work of Snehadaan. Students from different medical and social work colleges, officials from different organizations and govt, personnel of NGOs and state agencies regularly visit Snehadaan.